1,000 Hawaii students and teachers wove a 3-mile-long lei in honor of the Florida school shooting victims. 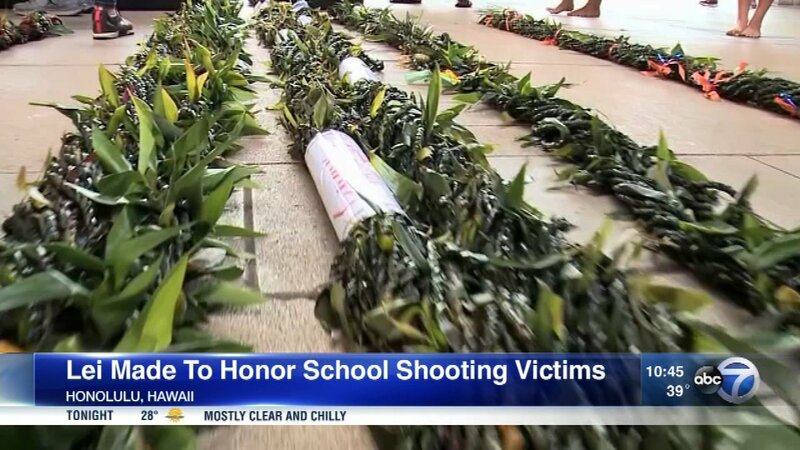 More than 1,000 students and staff from Hawaii schools worked together to create a special lei in honor of the Florida school shooting victims. The "Lei of Aloha" is nearly three miles long and entirely handmade by students and staff from 28 schools. A delegation of students and teachers will travel to Florida to present the lei at Stoneman Douglas High School.